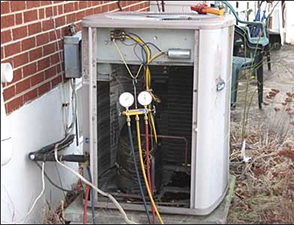 There are many problems that can come about in a home AC unit. You have to review a series of important points relating to your air conditioning system to see that nothing wrong will come about where you are. These include problems that might entail fixes on your part or even fixes that only a professional can take care of. Ice can appear around the lines that connect your unit with the rest of the house. You might have to shut off the AC unit for a few hours to let it thaw. The AC unit has to be thawed without any condensate or frost getting in the way of its mechanisms. You have to clear them out to ensure that whatever you are working with can actually be treated and cleaned up as well as possible. Sometimes the AC unit in your home will not work well because you have a dirty unit. That is, you might have lots of stuff like old sediment from the area or condensate all over the space. These components can get in the way of the HVAC mechanisms in your home and cause the air to wear out and weaken. This can be a real burden to the quality of your space but it can all be cleared out as necessary to protect the quality of your setup. The circuit breaker might end up tripping all the time while using your AC unit. This is often because of a loose electric connection. It is easier for older HVAC systems to have such problems like this. While you can try to reset your breaker, you might want to contact a professional for assistance. Sometimes the air is being cooled off the right way but the air is not actually flowing away from the AC unit as well as it should. The dampers may be closed off and might have to be reopened. In addition, vents should be either opened up or at least cleaned out so they might be easier to use. Also, the air filter might have to be cleaned out. A filled filter can cause the HVAC unit to become unable to actually get air out and around in your home. Of course, it could be because the motor is not working right. You might have to get an HVAC professional to repair your unit’s motor if it is not working. Some AC units, particularly indoor ones, might become extremely loud. It could be because the unit is not balanced properly. A fan could be banging among something and could create some rather loud noises. However, a professional can always take care of the problem before it can be any worse. Remember to watch for how your home air’ conditioning setup is run so you’ll have enough control over whatever you might require in your home. This entry was posted in Air Conditioning Services and tagged ac repair in Dallas, AC troubleshooting by admin. Bookmark the permalink.